These are photos of a declawed raccoon that were posted on Instagram on July 26, 2018. The location was tagged “Safari Animal Care Centers” in League, Texas. The purpose of this story is to educate the public about why they shouldn’t own a pet raccoon and also why they shouldn’t declaw them. The founder and chief of staff of this veterinary practice, Safari Animal Care Centers, is Dr Steven Dale Garner. He’s a 37 year member of the AVMA. According to his staff, he declaws many cats and many raccoons at Safari Animal Care Center. He is the only Board Certified Veterinarian in Galveston County, Texas. He is an accomplished leader in the veterinary profession. Dr. Garner also has been recognized as a member of the AAHA Standards Enhancement Task Force. Just to confirm that Safari Animal Care Center declaws raccoons, we placed a few calls inquiring about it. According to the employee, their raccoon declaw prices are as follows: $405 for the front paws and $600 for an all four paw declaw. They said the doctor uses a laser and that it is less pain and less bleeding. Another employee, when asked about getting a raccoon declawed and if their vet is skilled at the procedure, said that they do 2-3 raccoon declaws a week. The vet tech said that some people think it’s like declawing a cat but that it’s not and said it’s like a removing a nail from a human finger that has soft padding under the nail. The caller said that they were confused because they saw online photos of a skeleton of a raccoon paw and it looked like the claw was attached to the bone. The vet tech went online while the phone call was taking place and was adamant that raccoon claws are not attached to bone and said that they must have glued them to the skeleton in the photo. Another phone call was made to try to get an answer about the raccoon claw being attached to the bone from Dr Garner, but he wasn’t in the office. The employee asked Dr Garner’s wife, who is also a vet but doesn’t practice at Safari, and she conveyed this information to the employee to tell the caller. She said that they have to get in to get the root of the claw and that a little bit of the bone might be removed. A check in the area of veterinary practices that treat exotic pets revealed that none of them will perform a declaw on a raccoon. A vet at Gulf Coast Veterinary Specialists in Houston said that it’s not recommended to have raccoons as pets or to declaw them because it’s not humane and they don’t have retractable claws so it’s like cutting off the tips of their fingers. When asked if they declaw cats there, the doctor said they only perform tendonectomies on cats. Another hospital that treats exotics, Westgate Pet and Bird Hospital (AAHA hospital) in Austin said that raccoons don’t have retractable claws so declawing them is taking out their whole nail bed and it would be like they were walking on “nubs.” They declaw cats and ask if you want all four or two paws when a researcher called to check on their declaw fees. Animal Kingdom Pet Hospital in League City said that raccoons are wildlife and they don’t declaw them. They declaw cats. I reached out to the Natural History Museum of Los Angeles County to get some facts about declawing a raccoon and here is their response. 1) Keeping raccoons as pets is a horrible idea, and 2. Removing the claws of a raccoon is an equally horrible idea. The claws of raccoons are permanently exposed (as in dogs and many other mammals), which is completely different from the situation in cats, where the claws are retractile. The claws are attached to and cover the very last bone of the fingers and toes (called the distal phalanx).. Removing the claw involves removing the bone—so it’s not just de-clawing the animal, it’s de-boning the animal. The same is true for cats, but that last bone in cats is smaller and more slender than it is in a raccoon. It is not a trivial thing to remove those claws and bones in cats, and it’s certainly a pretty big deal to do it to a raccoon. Painful, yes. Potential for nerve damage, yes. And if the raccoon is ever released back into the wild (for example, if the owner later decides it was a bad idea to have a pet raccoon), that released animal would be at a supreme disadvantage in the wild (they have claws for many reasons, including protection, foraging, etc.). Here’s a photo of the same raccoon after the 4 paw laser declaw with possible signs of damage to the paw pads from burning off the raccoon’s toe bones and claws. The employee said that a front declaw is $500 and that they think an all four paw declaw is around $900. When asked who is best at the declaws, employee said Dr Garner is the one who does their declaws and that he is the only Board Certified vet in Galveston County. The employee said that they use the same anesthesia that Texas Children’s Hospital uses. Employee also said that Dr Garner recently declawed their cat and it’s all healed up after two weeks. We reached out to Dr Garner to see if we could get some facts about declawing a raccoon from this expert. I wanted to get your input on how a raccoon is declawed since you are a board certified doctor and your staff said you do raccoon declaws often and to reach out to you this way. I figured you are the expert and can give me the facts. I know that declawing a cat is removing the claw and the bone it is attached to, so I was wondering if it is the same for declawing a raccoon or do you just remove the claw with your laser? Is there any harm to declawing a raccoon? Does it hurt them in anyway long-term and what is the recovery time. Is there any reason it shouldn’t be done? How would one decide what’s best, 2 vs 4 paws? I’ve heard declawing changes a cat’s behavior, will it affect a raccoon negatively too in anyway? Just to be clear, I do not recommend the ownership of Raccoons. In Texas I believe it is considered illegal to own such wildlife. My veterinary position is that if people are going to own these pets against our recommendations – then and only then – will we provide veterinary care. They need someone who understands their nutrition and physical needs. When a raccoon has been taken from the wild and reared in the home, it is difficult for them to return to the wild – ever. This is because they have not developed the wild instincts to forage for their food and to be warily of their enemies. Raccoons in captivity are always a problem however as they become aggressive (as interpreted by humans) and this aggression is difficult for most humans to manage. Declawing is not recommended as it permanently changes a raccoons behavior. Declawing cats was once common but is now frowned on and illegal in most other countries and some states. If declawing is done it should be done to minimize pain, trauma, and to prevent the claws from growing back. Surgical laser is one way to accomplish this. Declawing a raccoon is no different except a raccoon is not a domestic animal. Please leave the wildlife wild. Ok, Thanks for the note. So just to be clear since I was confused. When you declaw a raccoon, you use a laser and are you taking off just the claw or the last bone with the claw? Also, if someone was going to do it, what are the pros and cons to a 2 paw or 4 paw? What do you suggest and will there be a need to give pain meds to them for a few days when they are brought home? How does declawing change a raccoons behavior? I suspect your motives are not above board here. There is a real moral and ethical dilemma when an uninformed person takes on an animal such as a raccoon from the wild and rears it in the home. There becomes a real time when euthanasia is measured against declaw. You know more about declaws than most on the planet and I do not appreciate your coyness about the gravity of declawing a wild animal. Here’s another screenshot from Safarivet.com. 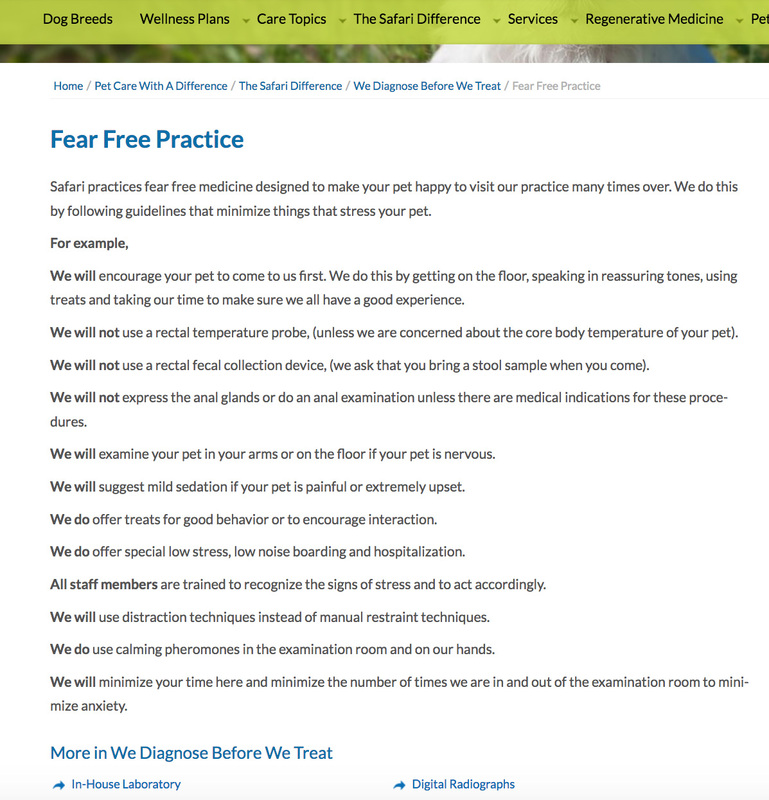 Here is a screenshot from Safarivet.com that talks about surgery for exotics. PLEASE REMEMBER TO ALWAYS BE RESPECTFUL AND TAKE THE HIGH ROAD WITH YOUR COMMENTS. WE MUST EDUCATE THE PUBLIC ABOUT THE FACTS ABOUT DECLAWING A CAT, A DOG, A RACCOON, A KINKAJOU, OR ANY ANIMAL. WE MUST EDUCATE THE PUBLIC ABOUT THE EASY, HUMANE OPTIONS LIKE NAIL TRIMS, COMMONSENSE, STURDY SCRATCHERS, DETERRENTS, ETC. WHEN YOU ARE DISRESPECTFUL, MEAN, OR THREATENING, IT HURTS THE CAUSE, IT’S WRONG, AND IT HURTS ME BECAUSE THEY WILL BLAME YOUR MEAN COMMENTS ON ME. 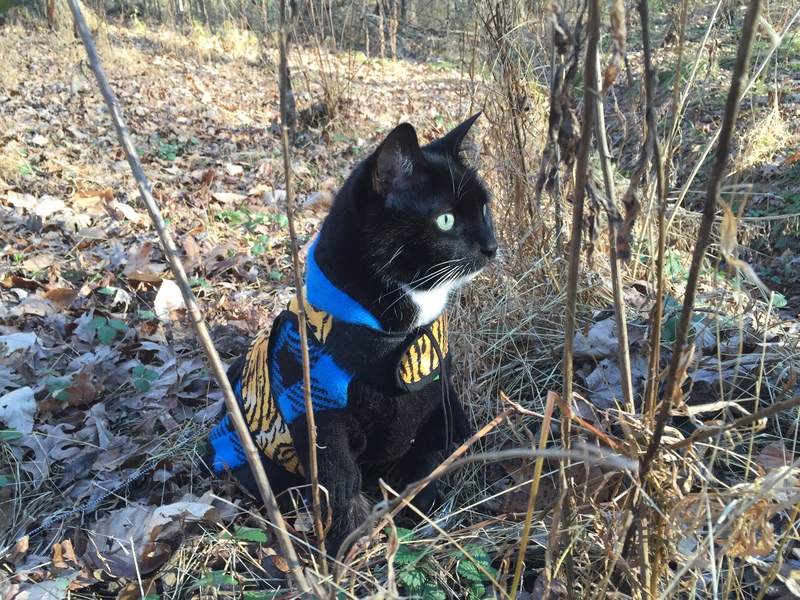 This entry was posted in Suffering Declawed Cats, Uncategorized and tagged aafp, aaha, aahaday, aahahealthypet, ACVBbehavior, aesculight, animalabuse, avma, avma2018, avmaconv, avmameets, avmavets, banfield, banfieldpethospital, blogpaws, californiaveterinarymedicalassociation, canada, canadianveterinarymedicalassociation, cassandracatwantsherclawsback, cat, cats, catvets, CElasers, celasersvet, citythekitty, citythekittyadvocateforanimals, cornell, cornellcats, cvma, dailybeast, declaw, declawed, declawedcatsbetrayedbyveterinarians, declawing, DeclawingAnimalAbuse, depression, houstonhumanesociety, limping, litterbox, marspetcareus, marspethealth, michigan, njvma, NYSVMS, onychectomy, pethealth, raccoon, savma, studentavma, TheCVMA, vca, vcapethealth, VetEconFact, vetgirl, vetlife, vetmed, vetschool, vetstudent, vettech, webmd, worldsworstdoctor. Bookmark the permalink.